If you are seeking for a reliable and efficient emergency plumber service provider in Coventry, look no further as we are the ones that can help you. We are recognized as one of Coventry’s leading and reputable companies that will provide you professional emergency plumbing services. There is no doubt that unexpected home emergency can be inconvenient and stressful for most of us. Emergencies don’t come with warnings, but can shock any householder. We provide competent emergency solutions to our clients in Coventry and its surrounding areas to help them get out of any horrible situation within no time. 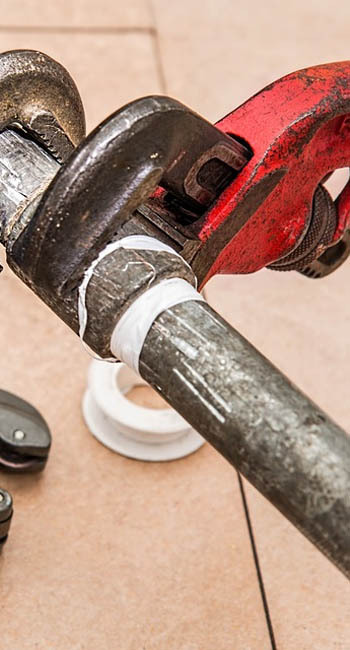 Whatever emergency situation you are experiencing, like a boiler breakdown, burst water cylinder, leaking pipe, or seized mains stopcock, our engineers or emergency plumbers are always ready to fix all your problems efficiently. As one of Coventry’s trustworthy emergency plumbing companies, we are committed to deliver high quality services to fix all your sudden plumbing emergencies quickly that cannot wait. Our experienced engineers not only provide you work of high standard but also a complete peace of mind you deserve. We understand the importance of quick and accurate service and that’s why we send engineers and emergency plumbers at your door usually within the hour, day or night. Our experienced and trained professionals are talented enough that can easily handle all your plumbing issues and other challenges both inside and outside your home or office. They have the perfect tools and parts on hand to tackle any plumbing situation, large, small, simplistic or complex. They can fix any plumbing issues or emergencies you may be experiencing in your home or office. Moreover, our skilled professionals can locate the root source of the problem after performing a detailed assessment of your system and then, they offer only the best solutions. We provide guarantee on all the work we have done, so there is no need to worry about further issues occurring after our job is completed. To meet your particular needs, we offer you with effective options that work for you. We provide personalized solutions to solve your plumbing emergencies swiftly that fit your budget and your property’s specific needs. We do not have any hidden charges and we do not recommend our clients any extra product or service that they do not need. We provide right solutions to ensure your safety, comfort and peace of mind. Our professionalism and honest service set us apart from our competitors. When our clients work with us, they will never be met with surprises as most of the plumbing companies do. We are dedicated to provide straightforward and transparent services to our clients from start to finish. From burst pipes to leaks and boiler repairs, we handle your plumbing emergencies with great expertise. Our top-notch support specialists strive hard to make sure our clients receive a pleasant experience always no matter what they need. From the first phone call to the last handshake, our professionals will treat you with priority. In addition, being Coventry’s local engineers and plumbers, we can reach to your door step rapidly to help you start your normal routine in no time. As we do not have any hidden fees, so you can enjoy our competent services at competitive prices. No job is too big or too small for us as our all engineers and plumbers are fully qualified and insured. They keep your work area neat and tidy and leave your home or office as clean as they found it. Whatever your plumbing issues, simply contact us and get your residential or commercial emergency plumbing problems solved within no time as we have the experience and expertise to get the job done on time. Your plumbing emergency is our priority. Call us when you need our help and we will send a proficient engineer or plumber to your door step with the right solution.